Many companies invest a great deal of money in optimizing their eCommerce shops. With increasingly globalized business models, the demands on multichannel sales in particular are increasing. It's worth taking a look behind the scenes here. 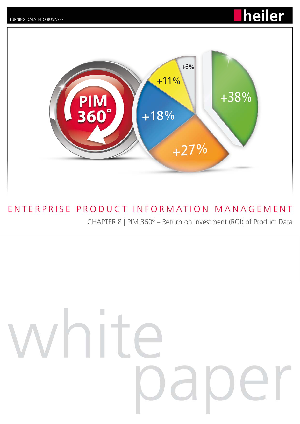 How can Product Information Management (PIM) system contribute to company's success? A study conducted by Heiler Software AG and Stuttgart Media College examined this question in detail. Read on to find out more.